Sunflowers are one of my most favorite flowers. Maybe, because yellow is my absolute favorite color. And, sunflowers are yellow! What a bright cheery color – it just makes me happy! That’s why I plant them in the garden among all the vegetables. They and the zinnias give the whole garden a gorgeous pop of color! Why would you save sunflower seeds from one year to the next? 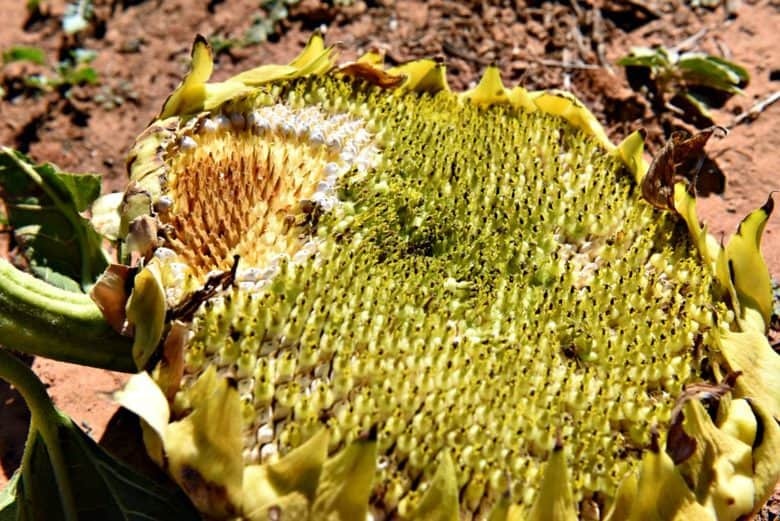 First of all, it saves money – I no longer buy the seeds for my beloved sunflowers. Next, it gives a sense of satisfaction and feelings of self-sustaining. 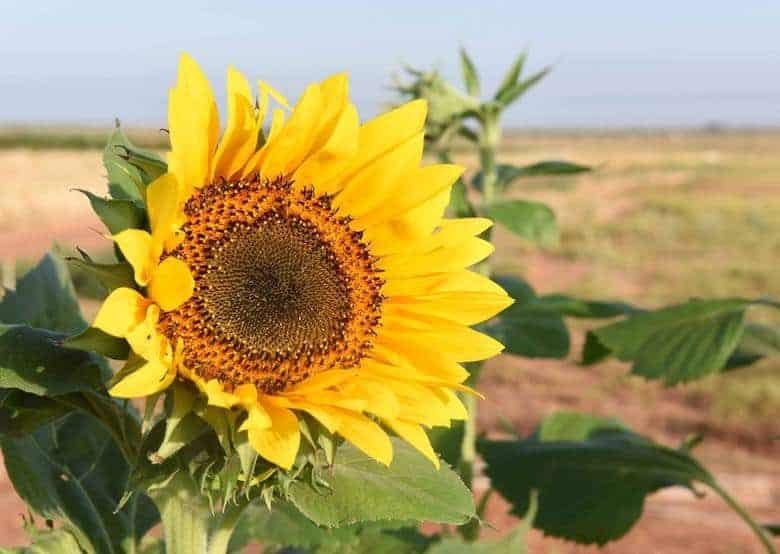 But, how to harvest sunflower seeds is a big question in the mind of some. Last year was my first time to harvest sunflower seeds and I was excited when they began to sprout and then actually grew into 6 ft + tall plants! I must admit that I was surprised at how easy it is to harvest your own seeds and can’t wait for you to try it! 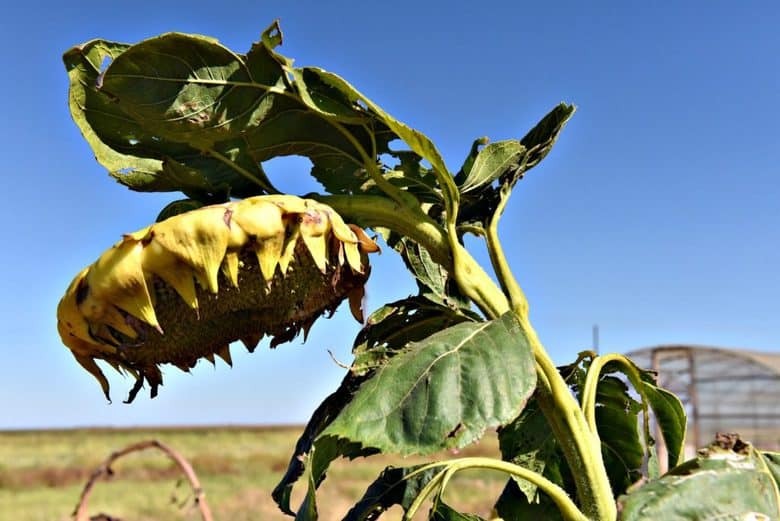 Once the sunflowers have bowed their heads and the backs of the flowers are turning a banana yellow, it is time to harvest the seeds. Drying longer makes it easier to remove the seeds but at this point, birds can be a problem. You can either go ahead and get the seeds out now or put a bag over the head (for protection) and let it dry a bit longer. Although birds are not a problem for us, I decided to go ahead and harvest. To remove the seeds, cut the stem of the flower leaving about a one inch stem. 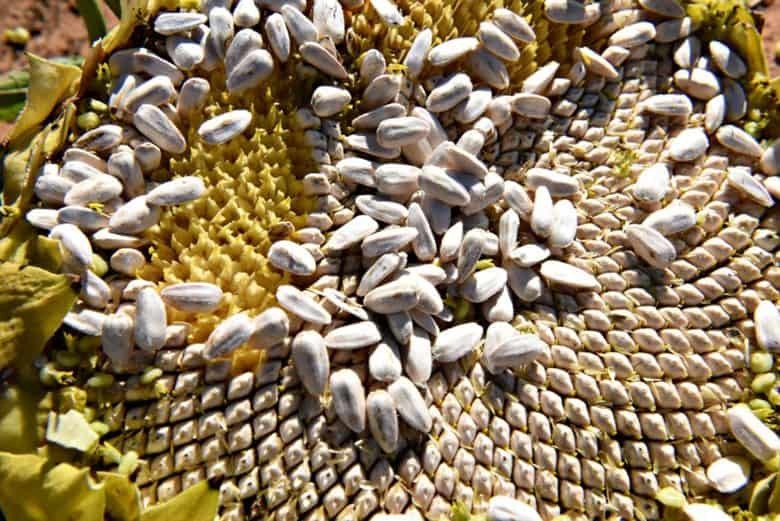 Our sunflowers still had green fuzz around the seeds. This was easily removed by rubbing it with my hand revealing the while seeds underneath. Using either you palm or thumb, rub across the seeds to remove them – I found my thumb to be easier. Once the seeds are removed, allow them to dry spread out so air circulates around them. 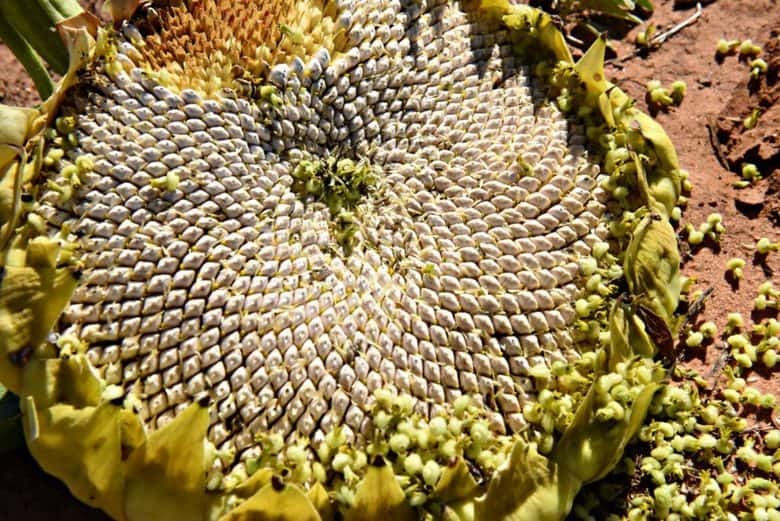 As they dry, they become the characteristic dark grey, black or striped sunflower seeds. Once dry, place in a cool dry place. I store seeds in the bottom drawer of the refrigerator until it is time to plant again next year. 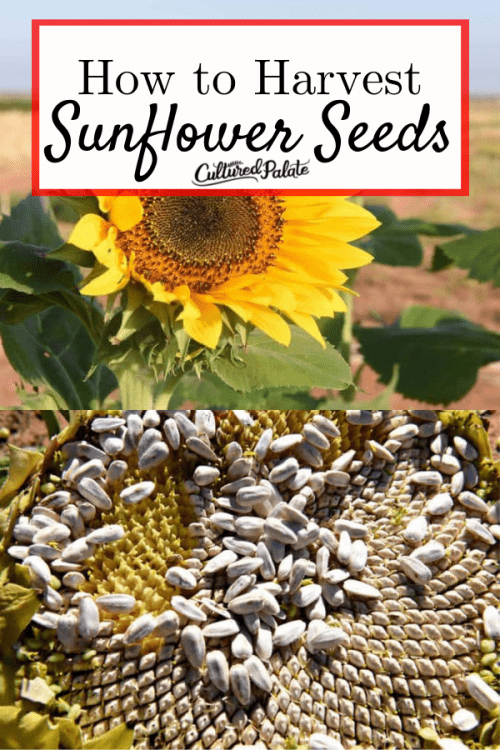 I hope this has answered any questions you might have on how to harvest sunflower seeds but if not, leave a comment and ask away! If you have saved seeds, I would love to hear what and how you harvest and save them! Living or Existing - Which are You Doing?